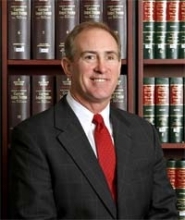 Gordon E. Hammond (Chip) is a Partner/Principal of Carlson Hammond and is based in Honolulu Hawaii. Chip works with families, estates, and businesses in the affluent marketplace and has been involved in some of Hawaii’s largest and most complex life insurance placements. His practice concentrates on helping clients and their advisors buy large amounts of insurance and structures insurance portfolios required to facilitate the advising team’s strategies. New clients are by professional referral only. Chip supports civic and charitable organizations and is an advocate for character development and youth sports. He currently serves the Boys and Girls Club of Hawai’i as Chairman of the Board; Positive Coaching Alliance Hawai’i as a Board Member and was the founding President in 2003; an Ambassador and donor for the Hawai’i Bone Marrow Registry. In addition, Chip serves as Chairman of the Board of Straub Clinic & Hospital and is an Advisory Board Member of MobileNerd, Inc.
Chip graduated from Illinois Wesleyan University with a degree in education and has spent time coaching football at Claremont McKenna College and Punahou School. He is married with two adult children and resides in Honolulu, Hawaii. 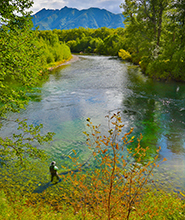 When not spending time with family, friends, clients, and on civic causes; Chip enjoys his time fly fishing in Hawaii and at beautiful spots around the world. He is a registered representative of M Holdings Securities, Inc., a registered broker/dealer, member of FINRA & SIPC. Securities and Investment Advisory Services Offered Through M Holdings Securities, Inc., a Registered Broker/Dealer and Investment Advisor, Member FINRA/SIPC.Carlson Hammond is independently owned and operated. Insurance is offered through Carlson Hammond Financial & Insurance Services. The material on this site is intended for informational purposes only and should not be construed as legal or tax advice and is not intended to replace the advice of a qualified attorney, tax advisor or plan provider. Carlson Hammond and its representatives are presently licensed to sell traditional life insurance in AZ, CA (#0B63325), HI, NC, NV, TX, VA, WA. Insurance services are limited to residents of the above listed states. Residents of other states should consult with a local agent for insurance services. Variable life and annuity products, as well as other securities products, may be sold in the following states: CA (#0B63325), HI, TX, WA. Residents of other states should consult with a local registered representative for securities products. Carlson Hammond is a member of M Financial Group. Please click here for further details regarding this relationship.